When it comes to architecture and home improvement, one trend remains timeless and that’s glazing. Light never goes out of style and finding ways to bring more of it into your home transcends mere ‘trend’ and offers lastings benefits besides. Creating the ‘open plan’ living space has proved to be a must-have for homeowners seeking to improve their home. And glazing is a material that lends itself perfectly to this kind of project. 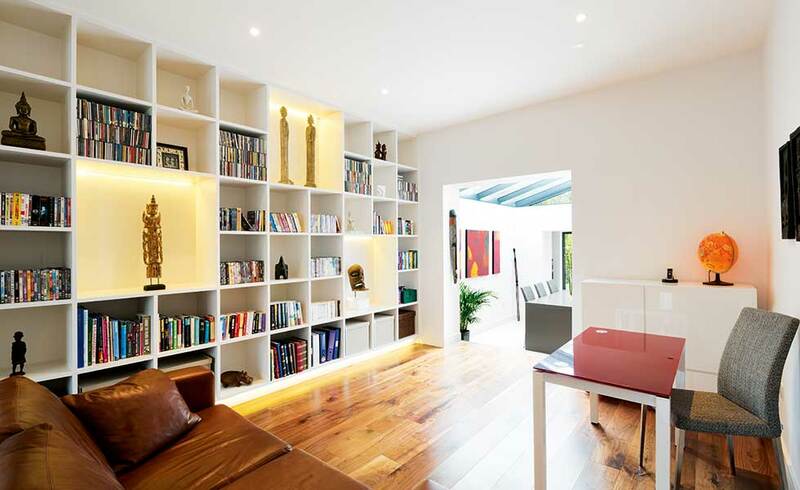 However, completely ‘open plan’ living and entertaining spaces can come with their own built-in set of challenges. Noise from other family members engaged in various activities, cooking smells which may or may not be appetising, and the inability to quite literally shut the door on the mess after the meal – or the party. So, how do you create a feeling of openness and space yet retain the ability to close off certain areas without sacrificing all the benefits a light-filled open-plan extension offers? The answer is in a semi-open plan ‘connected’ extension. A semi-open plan extension is one where the existing living area and newly created space of an extension if undertaken, are combined to create a ‘super space’ which is zoned and within which each segment has its own personality. The spaces flow from one to the other, but there is within this, an element of separation allowing for privacy and withdrawal from the other areas as required. As with an open-plan area, two or more areas are merged – living/kitchen/dining/hallway. And as with open-plan extensions, a long line of sight is retained within which architectural glazing or rooflights can be added to provide the must-have light-drenched sense of space. However, a sense of flow from one area to another is used by creating various ‘zones’ within this. These can be given their own decorative personality depending on their usage, privacy with flow planning and often their own light source in the form of an individual rooflight or sitting under the continuation of the main glazing structure. Giving each zone its own personality – or even your kitchen space, is another big emerging trend which allows you to add your own distinct decorating style to each area. The latest trend in kitchens is to do away with the same look throughout, and instead mix and match cabinet styles. If you’re creating a one-off extension for your home, shouldn’t that all important kitchen and the rest of the space reflect this? A semi open plan living space lends itself readily to this.